The Brother Work Smart MFC-J460DW is exactly what you’re looking for when selecting a compact color inkjet All-in-One that offers easy, intuitive operation, plenty of connectivity options, and the ability to print on various specialty media – all without breaking your budget. You’ll discover that connecting to a wireless network couldn’t be easier, thanks to the wireless assistant that completely walks you through set up. It’s so simple – you don’t need a USB cable, and you won’t even need to know your wireless network password. Share the machine with others on a wireless network or connect to a single computer using a USB cable (not included). 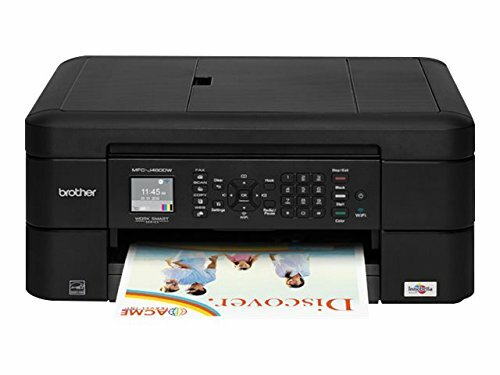 Print, copy, scan and fax with advanced color inkjet technology.